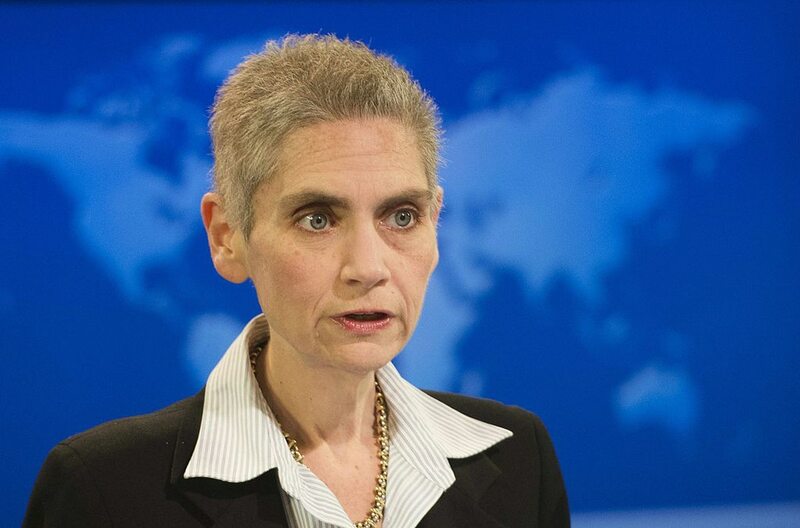 WASHINGTON – Ambassador Tina Kaidanow, a longtime State Department official and a key player in recent reforms to America’s arms sales process, is heading to the Pentagon. Kaidanow will be crossing the river and entering the Pentagon as the next director of international cooperation, an office under the department’s reconstituted Acquisition and Sustainment office. The news was announced by Ellen Lord, the A&S head, during a speech Wednesday, and confirmed by the Pentagon. Matt Warren, who currently holds that job, is heading to NATO in a similar role for the alliance; it is unclear when Kaidanow will officially take over, although the job does not require Senate confirmation. A State Department official, speaking on background, said Kaidanow is expected to retire from the Foreign Service in “the coming weeks” as she prepares to go work at the Department of Defense. The United States is stronger and safer when our allies and partners realize improved interoperability with our forces by operating common platforms of American-made defense equipment. “We salute Ambassador Kaidanow for her decades of outstanding service to our country at the department and look forward to working with her in her new capacity in interagency efforts to continue strengthening allies and partners; expanding opportunities for U.S. industry; and helping drive American jobs and innovation through defense trade,” the official added. The international Cooperation office is charged with driving cooperative research and development programs with partner nations and promoting “mutually beneficial international cooperative R&D programs consistent with national security considerations,” per a memo outlining the new A&S structure. Kaidanow has served as the principal deputy assistant secretary of the Bureau of Political-Military Affairs at the U.S. State Department — and as its acting assistant secretary for political-military affairs — since early 2016. In that role, she was the department’s point person on arms transfer issues, as well as a key point person in communications between the DoD and the State Department. She also was instrumental in recent reforms to the Conventional Arms Transfer policy, part of the Trump administration’s push to increase American arms sales abroad. In previous assignments, Kaidanow served as ambassador-at-large and coordinator for counterterrorism, deputy ambassador at the U.S. Embassy in Kabul, and principal deputy assistant secretary in the Bureau of European and Eurasian Affairs, among other roles.